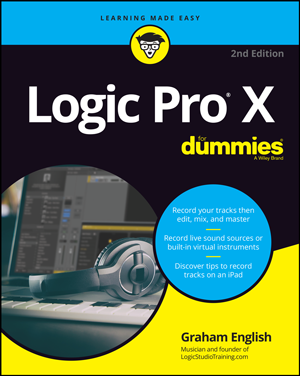 Logic Pro X comes with the most incredible sound effects on the market. 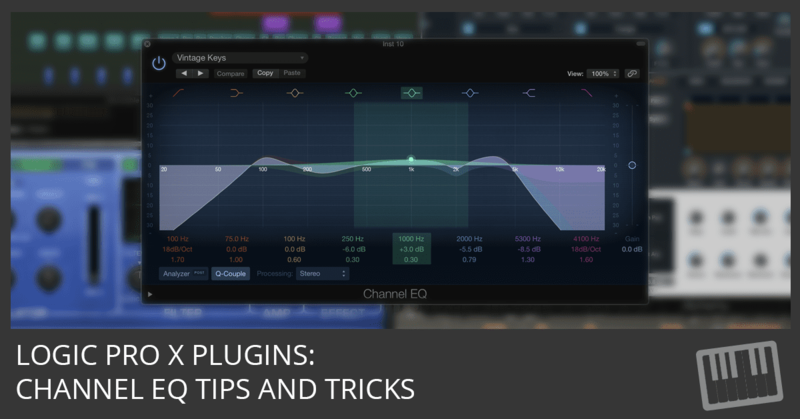 It includes every plugin you need to make great sounding music. 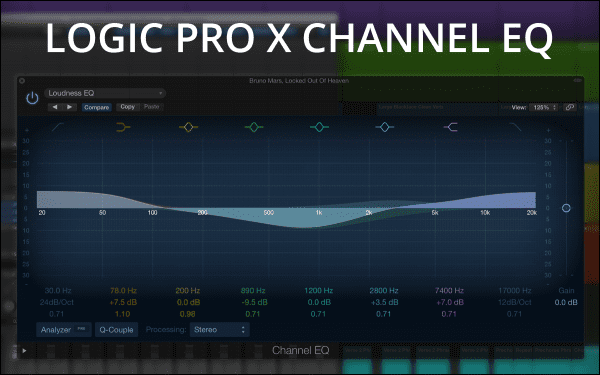 Channel EQ is one of the most-used Logic Pro plug-ins. It’s a powerful sound-shaping tool with simple controls and it’s easy on the CPU. The channel strip is where you adjust the volume and sound of a track. 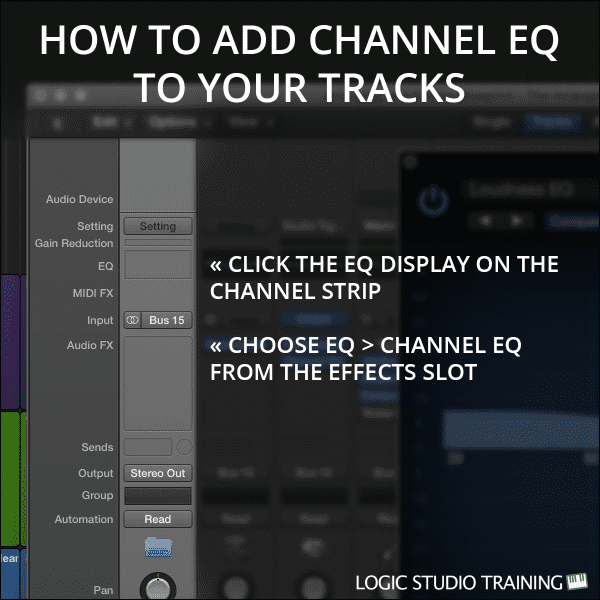 You can find a track’s channel strip in the mixer or track inspector. To the right of the graphic display, you can adjust the gain of the entire track with the gain slider. If you want a track to cut through the mix, either cut the frequencies of any tracks that are masking the track or cut frequencies that are making the track unclear and muffled. Masking is when two similar sounds are in the same frequency range and the louder sound masks the quieter sound. When you want the track to sound different, boost frequencies. Beware that boosting frequencies can disturb the balance of your mix and cause unwanted phase shift. You may need to adjust the gain of the track after boosting a frequency. Analyze the frequency content of your track by clicking the Analyzer button below the frequency display. If you want to see how the EQ is affecting the track, click the PRE/POST button to toggle the display before (PRE) and after (POST) the EQ is applied. You can divide the low and mid ranges even further to get more divisions. This is useful as your ear advances and you need more frequency range distinctions in your mixing. 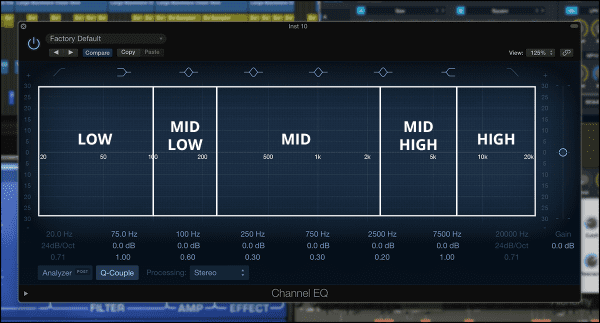 Remember, there’s no “right way” to EQ your tracks. Every genre is different and there’s a range of acceptable sounds within every genre. If your music sounds good to you and your listeners, it IS good. 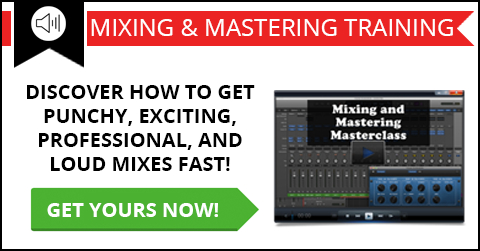 Free Video, Template, and Cheat Sheet Shows You How to Get Punchy, Exciting, Professional, and LOUD Mixes FAST! Enter your email address and click the "Get Access Now!" button to get your free mixing guide. its nice to hear basic eq tips ,even though i learned this years ago , but you will be surprised at how many people have a laptop , music software like adobe audition , cool edit , protools , etc, and don’t know how to use a eq plugin , all they know is they want there vocal to sound clear , like there is a ” make your vocal clear button ” on the eq. and a lot dont know how to use compression and delays , and dont know about headroom in a mix. my advice is to read about all of those basic things, and watch videos and tutorials and put it into pratice before you spend 800 dollars on a usb microphone , a laptop, headphones, software , mic stand , and a pop filter. just my advice.